We highly value partnerships with businesses and friends of the community. Together your support and collaboration promises to strengthen the capacity for community impact. Our mission is to address children’s health issues through arts and entertainment. Your long term financial contributions, volunteer effort, and in-kind donations help to create positive childhood memories, and ultimately a clear sense of purpose in the world. Chaperone LLC is a premier technology service and product provider to small, mid-sized, and enterprise businesses. Chaperone provides support for all major Linux distributions with services that include infrastructure planning, solutions design, implementation, configuration, and troubleshooting. KEYLAY is a full-service, Atlanta graphic design agency that specializes in big ideas for small businesses. Those ideas are produced by an expertly crafted team built on innovation, experience, reliability and passion for creative work. Founded in 1986, PSI, Inc. is an established and respected market leader in the delivery of digital media services. They have a proven track record and the capabilities to produce, package and distribute digital media in any format, to anyone, anywhere in the world! Target Corporation is an American retailing company, founded in 1902 and headquartered in Minneapolis, Minnesota. It is the second-largest discount retailer in the United States. PostNet helps small business owners find and keep customers by providing small business marketing solutions. PostNet also partners with all major shipping providers — UPS, FedEx, the USPS and DHL (in the USA) and FedEx, Purolator, and Canada Post (in Canada) — and offer mailbox rentals to make it easier for you to serve customers and receive packages for your business. 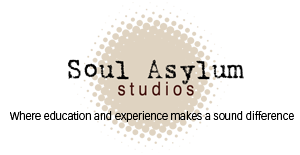 Soul Asylum Studios Chamblee is a Hi-end recording studio with a stylish well equipped control room,large live room and 2 vocal booths. If you need the best of both worlds digital or analog Sas Chamblee is your new recording home. United Way is engaged in nearly 1,800 communities across more than 40 countries and territories worldwide. United Way is focused on creating community-based and community-led solutions that strengthen the cornerstones for a good quality of life: education, financial stability and health. 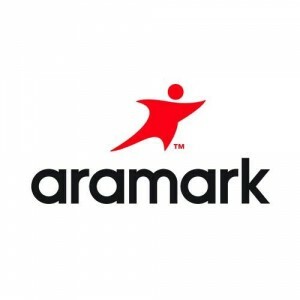 Aramark is in the customer service business across food, facilities and uniforms, wherever people work, learn, recover, and play. United by a passion to serve, Aramark delivers experiences that enrich and nourish the lives of millions of people in 22 countries around the world every day. Barnes & Noble, Inc. is a Fortune 500 company, the largest retail bookseller in the United States, and a leading retailer of content, digital media and educational products in the country. Whole Foods Market seeks out the finest natural and organic foods available, maintains the strictest quality standards in the industry, and has an unshakable commitment to sustainable agriculture. An American chain of membership-only retail warehouse clubs owned and operated by Walmart, founded in 1983 and named after Walmart founder Sam Walton. As of 2012, Sam’s Club chain serves 47 million U.S. and Puerto Rican members and is the 8th largest U.S. retailer.